Dogs greet each other with a tail wag and a quick sniff of the behind. 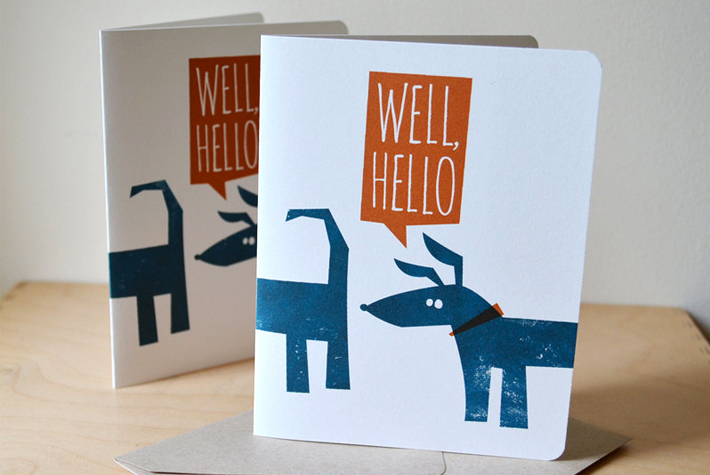 Now you can say a quick hello to somebody too, without the lingering aroma. Comes with oatmeal colored envelope.